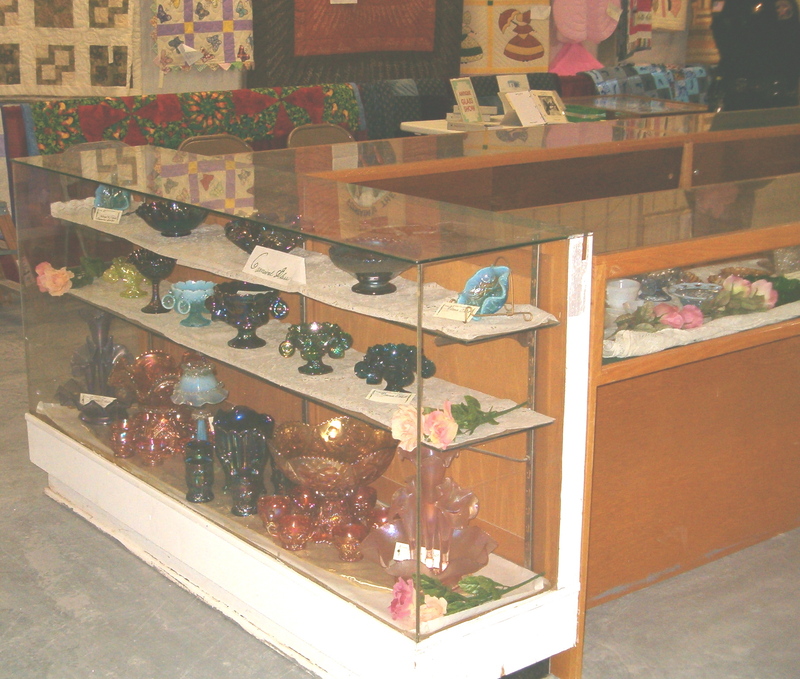 The year 2003 brought many changes in the downtown area of Duncan. PRIDE SOCIETY'S vision has become a reality with completion of Phase I of our overall goals for Spezia Square. 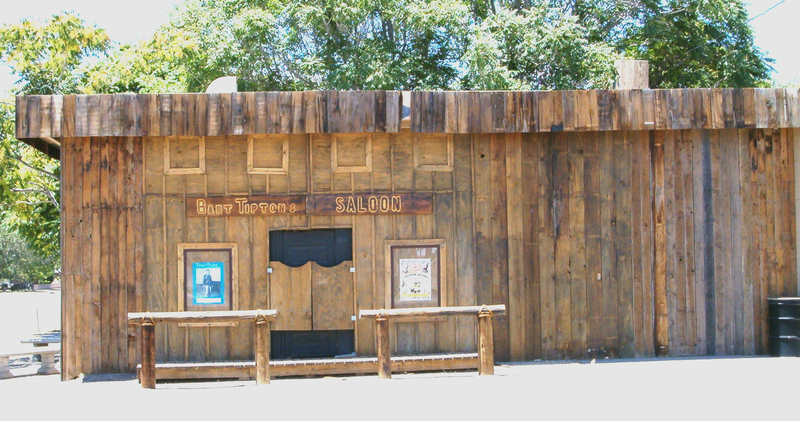 Other accomplishments have been ongoing, including clean-ups, painting of scenes on old buildings, and the old Chevron building transformed to an old western saloon named Bart Tipton Saloon, which is a name used from the past around 1905. 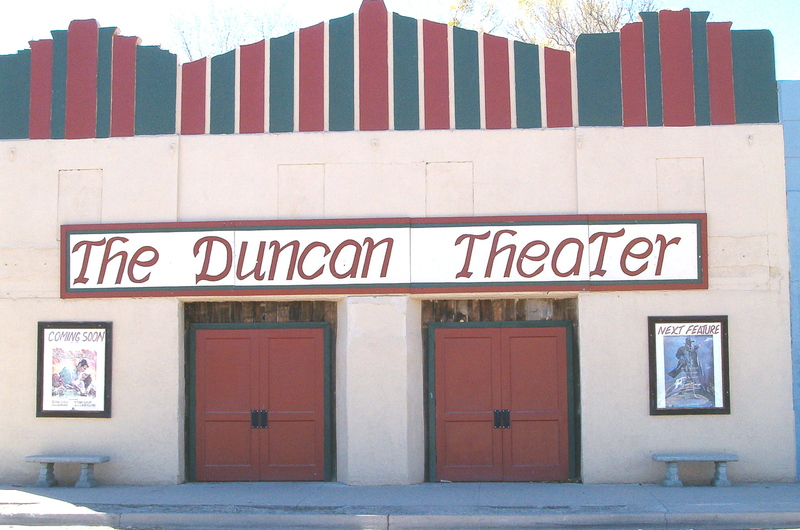 A new face-lift to the old Duncan Theater brightens up the street with its beautiful colors of paint. To be able to continue on with our overall goals, PRIDE SOCIETY hosted our second fund-raiser on April 17th, 2004. 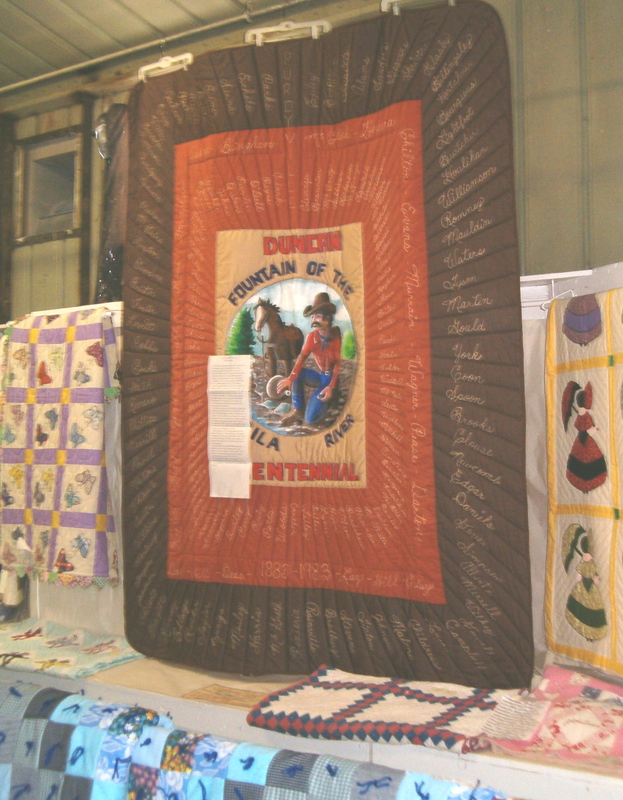 This event was held at the Greenlee County Fairgrounds in Duncan. 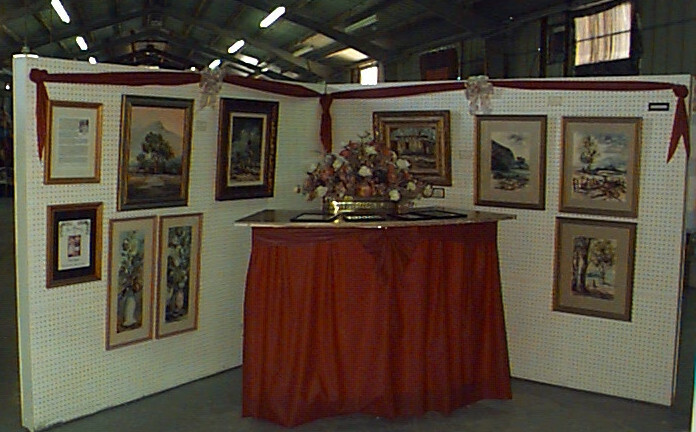 This event included an Art Festival, Quilt Show, and one of a kind display of Antique Glass. 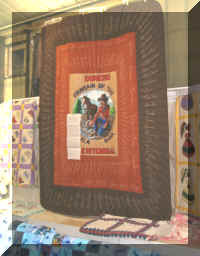 An auction of donated items was offered to the public to bid on. Of many of the wonderful items included three signed canvas transfers donated by Tim and Susie Cox. We want to thank everyone for participating in this event by helping our organization make a difference in our community which will bring a better quality of life for each of us. 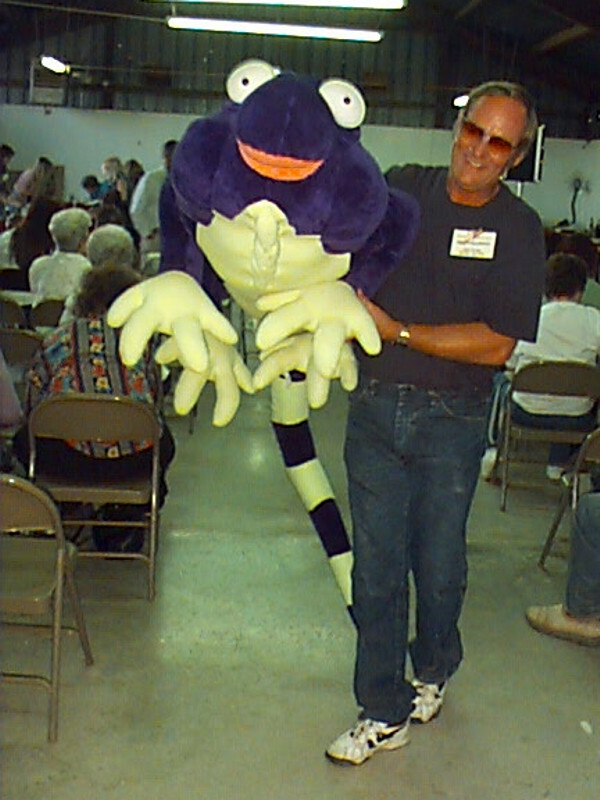 PRIDE SOCIETY hosted yet another auction in August 2013 in conjunction with the 2013 Duncan High School Reunion. 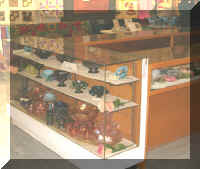 An auction of donated items were offered to the public to bid on. One of the items was a signed canvas transfer donated by Tim Cox. 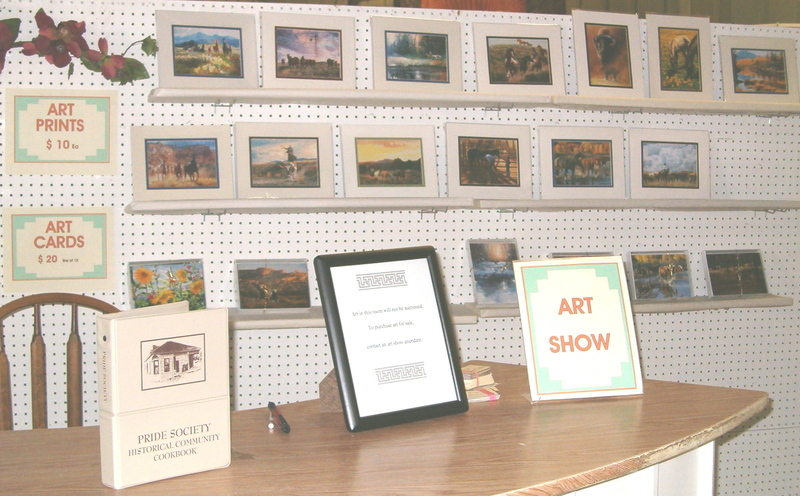 Another was a painting donated by Jeanette Anderson of Red Rock and a print by Hal Empie donated by The Hal Empie Gallery. 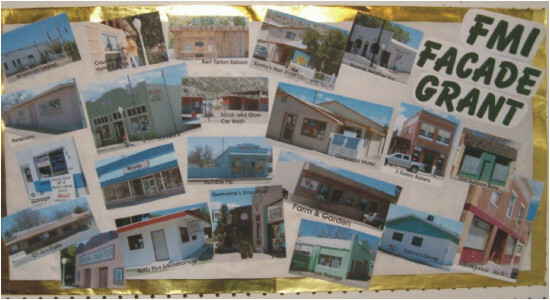 Friends of the Frisco obtained a grant from Freeport McMoRan Copper and Gold Foundation for a "Business District Façade Improvement in Clifton and Duncan in 2011. PRIDE SOCIETY was able to work with 12 businesses and 9 empty buildings to give them a facelift and improve the town's overall appearance.